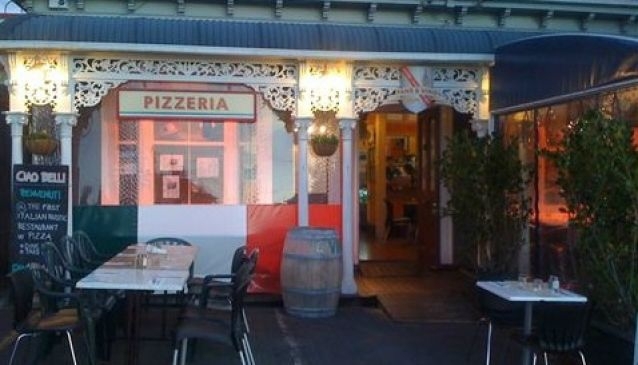 Pane & Vino is an authentic Italian restaurant in Ponsonby serving classic antipasti and pasta dishes using fresh ingredients, traditional mains and award-winning thin crust pizzas. Pane & Vino's pizzas won the best pizza award in the Epicure-Metro magazine (2009) and were a finalist at the Pizza Global Challenge held during March 2011. Weekly specials are offered and set menus can be ordered for groups of over ten people. The restaurant can also host parties and company breakfast and lunch meetings. The dining section at the back of the restaurant can seat groups of up to 30 people. A takeaway menu is also available.